Emily Barker is an award-winning singer-songwriter, best known as the writer and performer of the theme to the BBC’s hugely successful crime drama Wallander starring Kenneth Branagh. She has released music as a solo artist as well as with various bands including The Red Clay Halo, Vena Portae and Applewood Road (with whom she released a remarkable album of original songs recorded live around a single microphone, dubbed “flawless” by The Sunday Times) and has written for film, including composing the soundtrack for Jake Gavin’s lauded debut feature Hector starring Peter Mullan and Keith Allen. 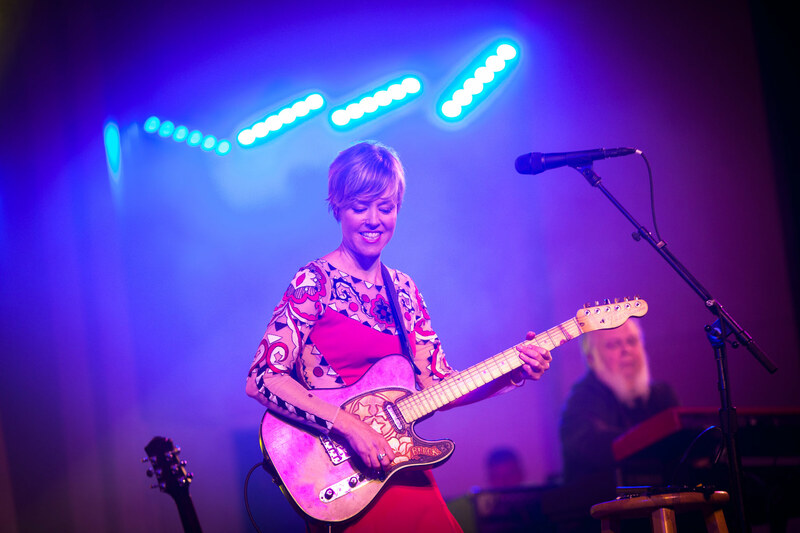 As a performer, Barker is captivating and accomplished, with an adept understanding of audiences that finds her equally at home touring with punk troubadour Frank Turner as she is with American multi-Grammy-winning musician Mary Chapin Carpenter. Most recently, Barker has released an album of collaborations with English folk legend Marry Waterson. A Window to Other Ways is out now on One Little Indian Records.